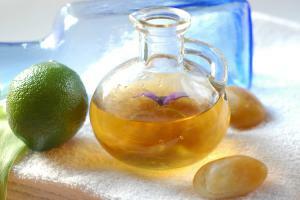 The properties of olive oil make it an ideal place to combat cardiovascular disease, constipation and good health food. It is an essential part of the Mediterranean diet, olive oil properties have been the subject of several investigations that have proven health benefits. Its high content of antioxidants and fatty acids have strong positive effects on the body, especially in relation to heart health. How olive oil is produced? Olive oil is obtained by a very simple process: olive fruits are pressed to extract the oil. It is important, when you buy it, check it extracted in this way (the label in this case they say “cold pressed”) and not through the use of chemical solvents. You also have to buy extra virgin olive oil, that is, that has not been diluted with other oils of lesser quality. Therefore, it is essential purchase for reputable sellers, because sometimes the market for olive oils usually spot fraud. Besides the content of vitamins E and K, olive oil contains several beneficial fatty acids, especially oleic acid. But his main strength is its antioxidant content, which may serve as shields against various diseases. For example, the oleocanthal, which is inflammatory; or oleuropein, which protects LDL cholesterol oxidation. Chronic inflammation is the process that lies behind heart disease, cancer, metabolic syndrome, diabetes, Alzheimer’s and arthritis. Olive oil has anti-inflammatory by two of the substances contained. Oleic acid reduces the inflammatory markers in the blood. Oleocanthal And, one of the antioxidants present in olive oil, function similarly to ibuprofen manner. Thus, studies that determine the amount of oleocanthal included in 50 ml extra virgin olive oil produced similar to the 10% recommended dose of ibuprofen for adults analgesic effect. According to observational scientific studies, death from cardiovascular disease is lower in countries around the Mediterranean Sea. And this would be related to dietary factors. Thus, many health experts recommend the Mediterranean diet as a natural way to prevent heart problems. And one of the pillars of this diet is olive oil, whose properties protect the cardiovascular system through the following mechanisms. Protect LDL cholesterol from oxidative damage. Improve endothelial function, the tissue lining the blood vessels. Prevent unwanted clotting, causing heart attacks and strokes. Although undoubtedly the main benefits of olive oil are heart, consumption also benefits other aspects of health. According to some research, the Mediterranean peoples show a lower incidence of cancer, and it has been suggested that olive oil has properties associated with these results, thanks to its ability to reduce oxidative damage caused by free radicals, a potential contributor to cancer. A study in rats showed that between the properties of olive oil removing beta amyloid plaques formed in AD neurons and cause is. Another controlled study in humans showed that the Mediterranean diet containing olive oil, optimizes brain function.